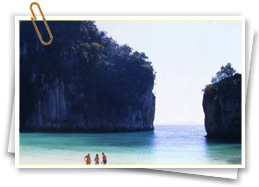 Flights to Thailand are available from several national and international carriers. The national airline is Thai Airways International (TG) (www.thaiairways.com) who fly from 60 international locations. 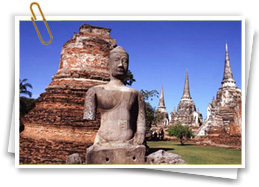 Bangkok Airlines (www.bangkokair.com) offer international flights to and from 7 Asian countries. Flights are cheapest April to June; August to November flights are slightly more expensive; December to March and July are the most expensive times to fly. From London to Bangkok is 12 hours, and from New York is 20 hours (inclusive of 1 stop: there are no direct US to Thailand flights). 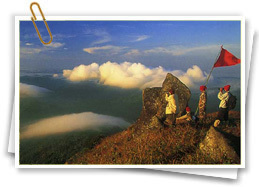 Departure tax of 700 baht is included in the price of the air ticket - check with your booking agent. Bangkok’s largest airport, Bangkok Suvarnabhumi Airport serves as one of Asia’s key hubs, with multiple international and domestic routes. Our guide to the airport includes important contact information and details on terminal facilities, public transport and accommodation. There are 10 information desks positioned around the terminal building in both the domestic and international areas. A free, 24-hour shuttle bus operates between the terminal and car parks, as well as the on-site Novotel hotel. Airport Code: HKT. 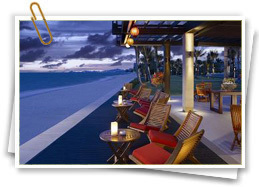 Location: Phuket International Airport is located 32km (20 miles) to the north of Phuket city. Airport Code: CNX. 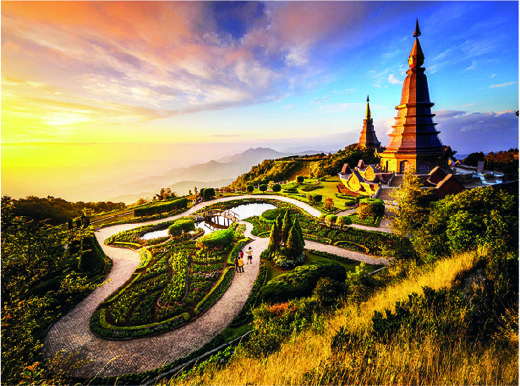 Location: Chiang Mai's international airport is 4km (2.5 miles) southwest of the city centre. Website: http://www.airportthai.co.th. Public transport description: Public buses are not a convenient way to reach the centre, but licensed airport taxis charge a flat rate to anywhere in Chiang Mai. In the reverse direction, charter a songthaew (share-taxi) or tuk-tuk (motorised rickshaw) for half the price. Many traveller-oriented hotels and guesthouses run a shuttle service to and from the airport. State Railways of Thailand operates train services (tel: 1690; www.railway.co.th; online booking: www.thairailticket.com) between Bangkok and Butterworth in Malaysia. There are also daily connections elsewhere in Malaysia, Singapore and the borders with Cambodia (at Aranyaprathet) and Laos (at Nong Khai). A new railway line opened in 2009, linking the Thai Railway system with Bahn Thanaleng, just across the Mekong river in Laos. The opulent Eastern and Oriental Express (tel: 0845 077 2222 or 0207 921 4010 within the UK; www.orient-express.com) runs directly between Bangkok and Singapore, but is expensive. Road passage into Thailand is possible through Malaysia, Cambodia and Laos. Coach operators can be found at major bus stations, however often minivan services (such as between Chiang Mai in Thailand and Vientiane in Laos) are faster. The main port is Bangkok (www.bkp.port.co.th). Note - there are very limited passenger services available. 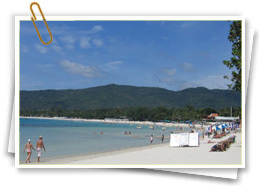 The ports of Laem Chabang (Bangkok) and Phuket are served by international shipping companies and several cruise lines. Cruises from Hong Kong, Singapore, Australia and Europe make regular stops at these ports. There are passenger crossings between Thailand and Laos at several points along the Mekong River. There is a slow boat along the Mekong River, from the Thai town of Chian Saen to Jinghong in China's Yunnan Province.